A city for the wannabes. Holly Wood a part of Los Angeles in the west-coast of the US is definitely the most familiar location for the film buffs as well as lovers of music. It is also a hot spot for glob trotters in search of some unadulterated fun. As the headquarters of world entertainment industry it has always been a destination to where the wannabes of the continents pack up and go to make it big, whether it in singing, acting, directing or weaving multicolor dreams with special effects, Los Angeles always was; and still is the place to make it real big! The rich and glamorous rub shoulders with the admirers who have flocked to get a glimpse of those who were so far seen so far only in the celluloid. All big from airport to seaport. 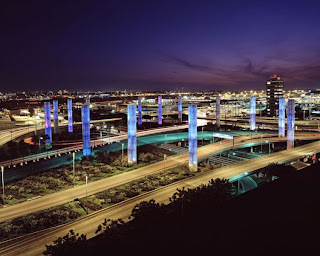 LAX, the 3rd busiest airport in the United States. 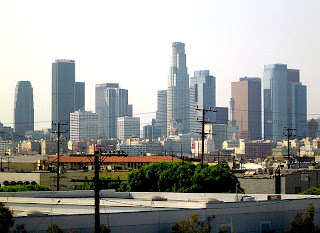 With an area of 469 sq miles and a population of 3.8 million Los Angeles has the status as the most populated city in the state of California and second largest in US. It is a global city with all to qualify it to be so, like the major airport that serves as a hub for local flights, a seaport in the San Pedro Bay occupying a total area of 7500 acres with a 43 miles waterfront along with the adjoining port of Long Bridge. This port is the busiest and the third largest port in the world. 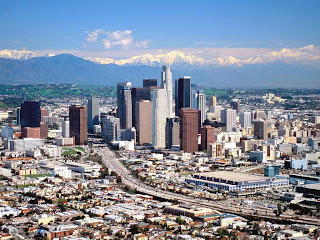 To cap it all as the most happening city Los Angeles hosts most of the high profile ceremonies of entertainment industry. The city had opportunity to host Summer Olympics twice in its history. Not changing with time but changing the time. Los Angeles had been America’s glamour spot for a long time, when mega film studios ruled roost in the Hollywood was their preferred place; then came the computer robbing of all physical presence and replacing them with virtual existence, Hollywood changed to the time it led the digital revolution from the front, old gargantuan studios with expensive sets got transformed in to high-tech digital labs and started minting dreams in multi-dimensions. Dinosaurs, pterodactyls, Mountain like apes all came back to thrill the entire world! Adults could not but join their kids in welcoming the weird beings with amazement. The story of Los Angeles is that of modern and resurging America and without Hollywood America will be deprived of most of its glamour. Juan Crospi and 44 families. The town originally inhabited by Native Indian tribes by name Tongva and Chumash was planned to be a colony by Juan Crospi a Franciscan Missionary who happened to be there as a part of his evangelic mission. As a first step he got settled 44 families there. This was just the beginning of the birth of great city that is Los Angeles today. These families were of different ethnic origin like Spanish, African, Mexican, Filipino as well as Native American. The town was founded on September 4, 1781 by Felipe de Neve a Spanish Governor. A small pueblo with a big name. The original name of the city was a bit long one; yet cannot be ignored, it was ‘El Pueblo de Nuestra Senora la Reina de los Angeles del Rio de Porciuncula’ meaning ‘village of our lady, the queen of the angels of Porciuncula’. The present Olvera Street carries the look of this Pueblo (a Latin American settlement). Formerly Los Angeles was part of Mexico and was annexed to US in an agreement signed in January 13, 1847 after the Mexican American war. Thereafter the City had only one direction; going up! Rail traffic was introduced in 1876 later in 1892 oil was discovered and in the early part of the 20th century a quarter of the world’s oil requirement was produced in this are. War, immigration, earth quake and Aids! with an acceleration of 6.7 in the Richter scale; that robbed 72 lives and injured 11000 people along with damages of $13 billions. But the city never felt any speed breaker in its path it went on with the same velocity. Los Angeles is not just the place for entertainment but it is a center of excellence in education, science and technology also. 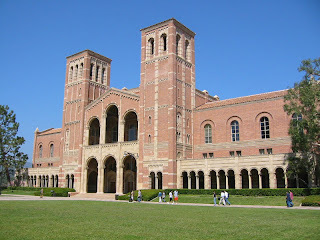 There are three world renowned universities under the state government (University of California and Los Angeles (UCLA), California State University North Bridge (CSUN), University of Southern California) (USC) along with those private institutions offering higher education in cutting edge technologies Antioch University Los Angeles Campus, Loyola Mary-mount University (LML), St. Mary’s College, Occidental College (Oxy), Art Central College of Design (Art Center) Central Institute of Architecture are just some of them. Being the magnet that pulls in crowds from world over; there are always tourists some after the glitterati and most with kids for outright enjoyment for a lifetime. Grauman’s Chinese Theater, Boulevard walk of fame, Amoeba Theater, Getty Museum, the Universal Theater, the Disney world, Knott’s berry farm and etc are just some of them. A family determined to see the entire sights may have to return leaving many locations unexplored even after an ardent effort of a whole month. Staples Center, one of the World's most famous arenas. 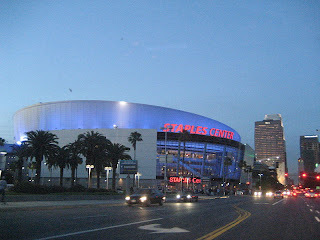 Home to the Los Angeles Clippers, Los Angeles Kings, Los Angeles Sparks & Los Angeles Lakers. This is one of the most visited places in the Hollywood; movie buffs can see locations of their favorite actor’s houses and places of significance associated with films. A walk along the boulevard itself is enough to see so many places of interest. During evenings there are latest and popular movies being played in nearby theaters. Watts Towers, Nuestro Pueblo in Watts District consisting of 17 interconnected towers (two of them 99 feet in height (all made of materials like scrap metals, bed frames, ceramic pieces, and bottles etc collected from around) built by an Italian by name Simon Rodia. Walk of Fame, a pavement along Boulevard and Vine Street with pink stars embedded with the name of celebrities is so innovative give pedestrians a very unique feel of nostalgia. Los Angeles Central Library with more than six million books is some thing different for a group of book lovers yet offers a visible sight to pedestrians with its architectural excellence. It is the world’s largest public funded library. The Hollywood Sign. Those bold white letters erected 50 feet high pedestals beside the hill is the most telling brand image of Hollywood, though originally made as a sign board it has become so popular and it is now maintained in its pristine shape bowing to the wish of the people. A bit of Holly Wood! Those who have time or money to join the celebrations haven’t got to worry as a bit of Hollywood fashion reaches every town and every homes in the shape of discs minted in Amoeba, it may be Jazz, rock, or anything of fun, just join it as life is so short to waste on serous stuff as all end in same place serious or silly!. welcome to the City of Los Angeles - The City of Angels.